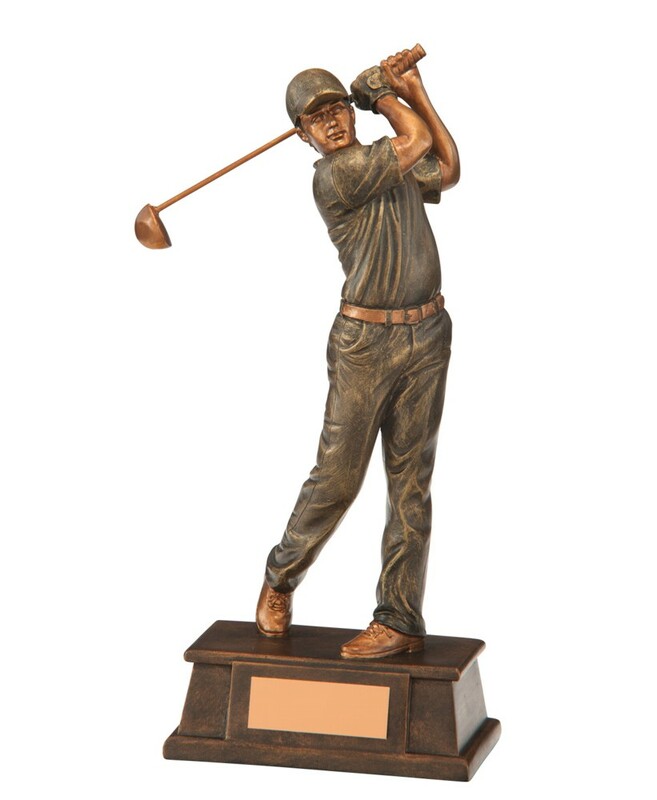 Classical Series Resin Golf Male Figure Awards. Available in 3 sizes, 160mm, 190mm and 220mm high. Resin antique golf figure with gold detail mounted onto a heavy resin base. Female version also available.